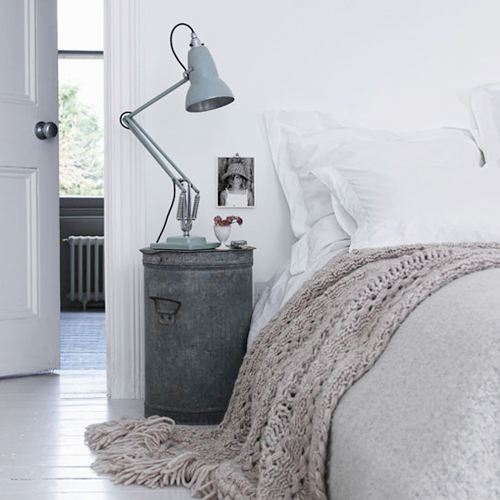 I've always been a fan of the non traditional bedside table. 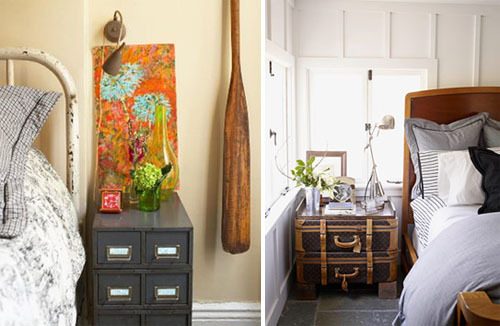 A chair, a ladder, an old file cabinet or stack of suitcases can do the trick just as easy. I personally like the idea of a drawer as I always have tons of magazines, books and journals piled up on my bedside table. But, as these pics show, less is often more. 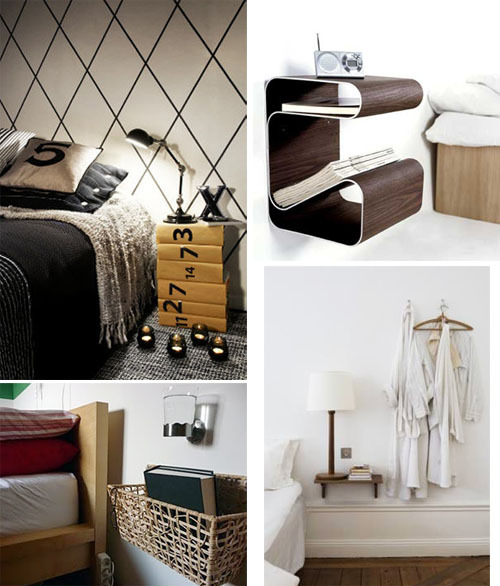 I'm also a fan of the shelf idea...and now I'm loving the wall mounted basket. Both offer the perfect solution to utilizing more floor space or creating more simplicity. I'll always be a fan of anything Scandanavian influenced, like this side pouf to the left. To the right, an old English safe does the trick quite nicely. Now if I could only find what works best for my bedside table...at least now, I'm a little more inspired. Maybe you are too?